I’m adding a new column to the blog called “Fix it Faux Pas”. The column will include pictures of fix it situations in the construction industry that have gone wrong. Being a hockey fan my husband sure appreciated today’s faux pas. Have a hole in your fascia? 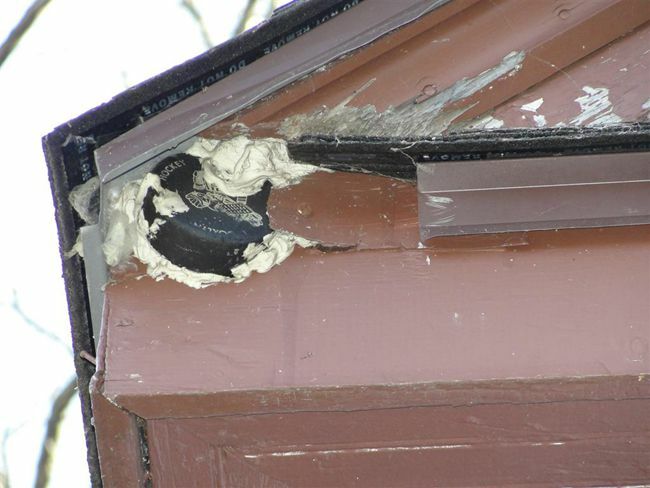 Nothing that a little caulking and a hockey puck can’t fix. The bigger the hole, the more pucks you use. Simple as that. Do you have photos you would like to submit to our fix it faux pas column? Send them to roofmaxblog(at)gmail(dot)com.